The adoption of new underutilized, native species into aquaculture and the seafood market is an important step in establishing a diverse, local and sustainable food sources. It is also a relatively easy step given that the infrastructure and expertise to culture bivalves is already in place at most of California’s aquafarms, and these “new” products are consistent with the priorities and growing demand of the sustainable, localvore food movement. We have two efforts just starting or underway. 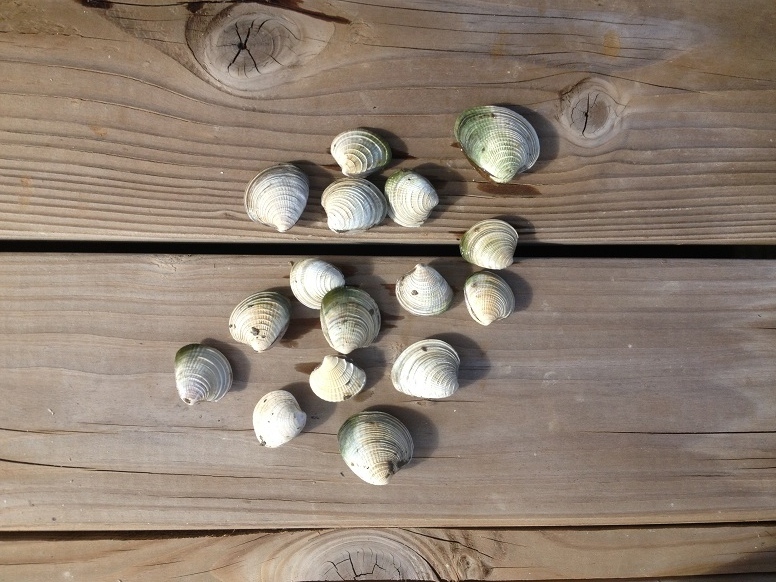 Tapping into the diversity of native shellfish species provides economic and ecological stability by providing portfolio effects for each system. Thus, this project uses interdisciplinary methods to determine the marketing potential of native Olympia oysters to local restaurants and markets. This goal is met by addressing barriers as to why there is currently no culinary demand in Southern California for the Olympia oyster. The project looks at the biological characteristics of the Olympia oyster as related to aquaculture and marketing, and the economic and social potential of this oyster as an avenue to enhance awareness of the product. Collaborators: Carlsbad Aquafarm, Inc., Acacia Pacific Investments LLC, Dominique Barnes, CMBC at Scripps Institution of Oceanography, Mark Jacobsen, UCSD. View Dominique's capstone report here for a look at some preliminary findings. Increasing efficiency of aquaculture production: Assessing the biological, economic and social feasibility of farming native bivalves and seaweeds. The viability of aquaculture can be improved by (1) increasing yield per unit area, (2) reducing production costs, (3) diversifying the portfolio of products, and (4) by securing better prices through the production of high quality product and by improving marketing effectiveness. Facilitating the farming of a diversity of native species that are primary producers and consumers while utilizing existing infrastructure can meet these four requirements. In particular, relying on a diversity of species increases stability of ecological, economic and social systems through such mechanisms as portfolio effects. Marketing native bivalves and seaweeds that naturally recruit within and around aquaculture facilities increases production per area and alleviates many of the environmental concerns of aquaculture. 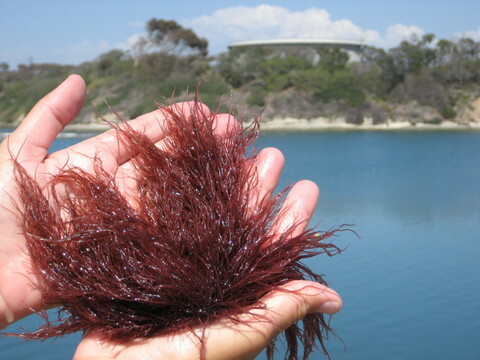 Being native and local eliminates concerns about invasive species and genetic or disease contamination by farmed species, while being producers and filter feeders in a productive estuary avoids the production and waste of feed, and improves water quality. Natural recruitment within and around the aquaculture facility, and growth in existing grow-out areas makes use of existing infrastructure and expertise. Adoption of these novel species is, however, too risky for most aquaculture facilities given the uncertainty about the economic costs and benefits, the culture protocols, and whether these species will sell. 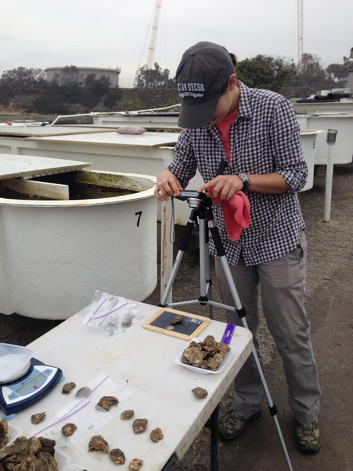 We will improve the marketability of local bivalves and seaweeds, such as Olympia oyster (Ostrea lurida), common littleneck (Leukoma staminea) and red ogo seaweed (Gracilaria pacifica) by (1) quantifying the biological characteristics of these species to develop culturing protocols and marketing strategies, (2) assessing the economic viability of farming and marketing these species, and (3) raising public awareness of the culinary, ecological and socio-economic value of these species, and aquaculture in general. Products like these are consistent with the priorities of a sustainable food system, namely locally-sourced, native, unique and low resource requirement, and may serve as a gateway to public acceptance of a diversity of other farmed species.